The Muslim Travel Market Is Growing, But Where Are Its Unicorns? Halal tourism, or tourism that’s in accordance with Islamic rules, is a burgeoning global trend, addressing the world’s 1.8 billion Muslims who are looking for products and services that match their values. Technology companies eager to capture this market are on the rise as well. A UK-based online travel booking site, HalalBooking.com, just announced it’s on track to achieve a US$1 billion valuation by 2022. That might make it the first tech unicorn in this category. The site offers halal-friendly accommodation worldwide. It allows customers to filter hotels and villa accommodation by specific features such as the availability of halal food, alcohol-free areas, dedicated women’s facilities like spas and pools, as well as family-friendly entertainment. According to an official press statement, the company’s net profit reached US$830,000 in 2017. By end of last year, HalalBooking had listed 1150 properties in 45 countries and said its revenue is likely to be between US$21 and US$22 million for that year. “In 2019, we forecast to double again to US$40 million and overall, we are on track to achieve our valuation target of US$1 billion in 2022.” CEO Elnur Sayidi said in a statement. According to analytics company Similarweb, HalalBooking, which claims to be the world’s number 1 for the halal conscious market has about 300,000 monthly web visitors and has so far raised US$800,000 in two funding rounds according to CrunchBase. Meanwhile, the Malaysia-based Tripfez has some 180,000 monthly web visitors and raised one funding round, and Singapore’s Halatrip has some 230,000 with no disclosed funding. These numbers are small compared to mainstream travel unicorns like Traveloka or Klook, but The Mastercard-Crescentrating Digital Muslim Travel Report projects that the digital Muslim-friendly travel ecosystem will grow consistently as it estimates that Muslim travellers will spend USD$180 billion by 2026 in online travel purchases. HalalBooking’s strongest market today is Europe and the company is planning to expand further into GCC (Gulf Cooperation Council) countries and North Africa before entering the Asia Pacific region. Meanwhile, Southeast Asia is also a popular destination for Muslim travellers and home to a significant share of the world’s Muslim people, which makes it an attractive location for companies in the category. According to the State of the Global Islamic Economy Report 2018/19 by the Dubai Islamic Economy Development Centre (DIEDC), an Islamic economy research institute, Muslims worldwide spent US$2.1 trillion across the food, beverage, and lifestyle sectors in 2017. This is projected to reach US$3 trillion by 2023. For travel only, the spending was estimated reach US$177 billion in 2017 and is expected to reach US$220 billion by 2020. 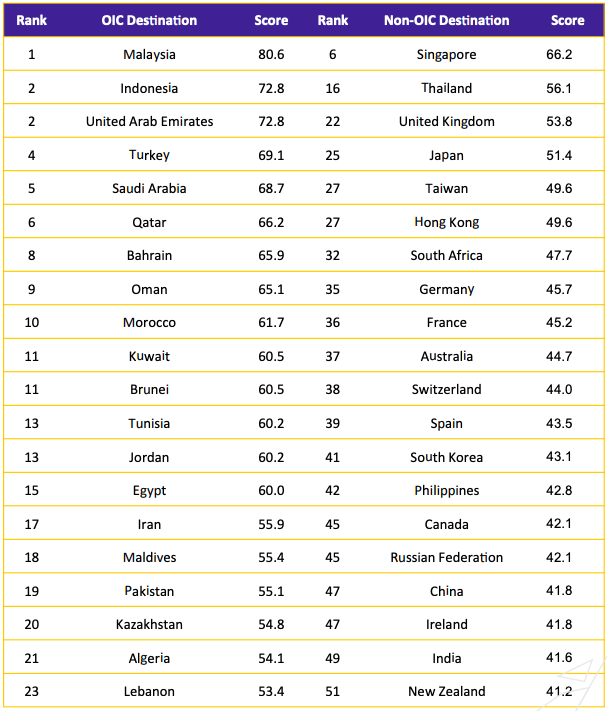 According to the Mastercard-Crescent Rating Global Muslim Travel Index (GMTI) 2018, Malaysia and Indonesia, were leading destinations among Organisation of Islamic Cooperation (OIC) countries, while Singapore and Thailand were the top-ranked destinations outside of OIC member countries. Moreover, the report said, Southeast Asia will welcome over 18 million Muslim visitor arrivals by 2020 which represents around 15% of all visitor arrivals in the region. Indonesia, as Southeast Asia’s largest economy and also the country with the largest Muslim population in the world, has said it hopes to attract at least five million foreign travellers from the halal tourism segment in 2019, which would represent around 25% of the total foreign tourist target of 20 million. Indonesia’s minister of tourism Arief Yahya told local media last year that he wants to see Indonesia move up to the first rank in the GMTI index, as the friendliest tourism destination for global Muslim travellers. Opportunities in the space extending beyond travel booking. All forms of digital content can enable Muslim travellers to better plan and experience their trips. Today’s travellers will turn to social networking services to stay connected, and community-based halal food and travel guides have abounded in recent years. 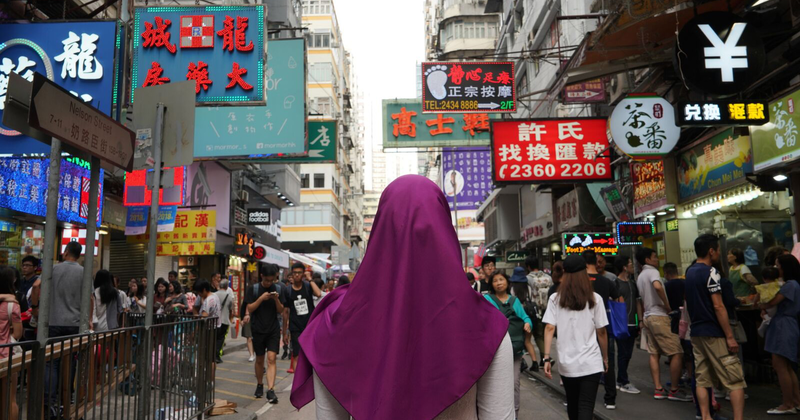 In Southeast Asia, Singapore-based media tech startup Have Halal, Will Travel (HHWT) offers resources and tools to help Muslims plan their trips, especially in finding halal food in the non-muslim majority destinations. Started as a community blog in 2015, HHWT is now evolving into a dedicated travel planning app for Muslim travellers. In 2015, the Tourism Authority of Thailand (TAT) launched Thailand Muslim Friendly, an app that’s part of the strategy to position Thailand as a Muslim-friendly destination. Available in four languages, English, Thai, Arabic, and Malay, the app is targeting visitors from UAE and neighbouring countries like Singapore, Malaysia, and Indonesia. Other platforms that offer similar services are Halal Navi from Japan, Australia’s Halal Advisor, UK-based Halal Spot. In an interview conducted by GMTI about investment insights for Muslim travel market, Christian Nader, the vice president of development for the Shaza Hotel chain, says that the industry needs more players who fulfil the needs of Muslim travellers and who offer more diverse products across various segments, including in the digital space, because millennials dominate the current halal travel sector. “Technology to this generation is an essential part of life and any component of the tourism chain must embrace this fact. What makes innovation even more important to Muslim tourism is the fact that this space is new and growing fast. People have only recently started paying attention to that market and like anything new, the industry starts first by focusing on fulfilling the basic needs before looking at innovation and more advanced needs. So, there is room for growth,” said Nader. Muslim millennial travellers as the driving force undoubtedly play an important role in expanding the global economic impact of Muslim tourism. For startups like HalalBooking, Tripfez and Halaltrip to achieve breakout success, the ecosystem of market demand, and halal-friendly startup funding sources need to mature. This article was first seen on KRAsia; and was written by Khamila Mulia (edited by Ben Jiang & Nadine Freischlad). Bike-Sharing Came And Went. But Will The New E-Scooters Suffer The Same Fate In M’sia?